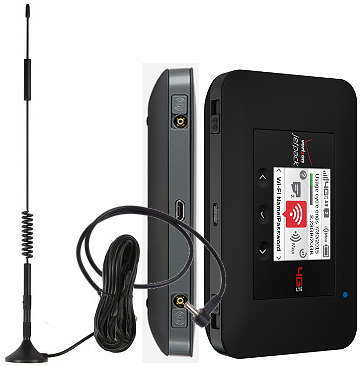 You can boost the reception of your Novatel Wireless Jetpack hotspot with an external antenna or powered signal booster. Adding an external to will i mprove cellular reception which will improve data transfer speeds. Adding a powered cellular signal booster will improve reception even more. Large Area Repeater System - Homes, Offices, Larger Buildings. Read More: How To Boost the Cell Signal To a MiFi Device. The Novatel 4620L Jetpack hotspot has an external antenna ports located on the back. The port requires an external antenna adapter below to connect.